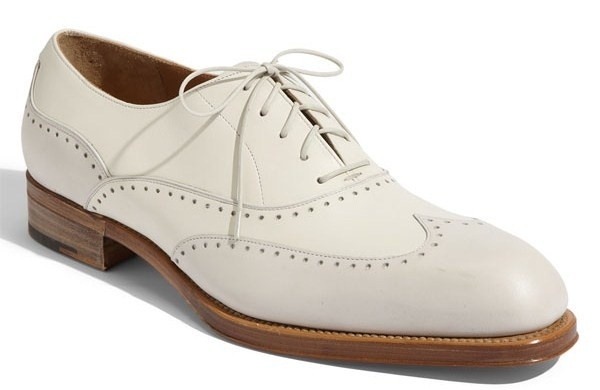 Salvatore Ferragamo offers an alternative to all those black shoes of yours, with these ‘Fable’ wingtip oxfords in a foam/ivory colourway. The hand-stitched, square-toe leather wingtip shoes feature spectator styling and perforated trim, with a handsome contrasting sole. Available online now.